✍️infect almost up to 50% of the world’s population. ✍️lifetime risk of ocular toxoplasmosis is around 18/100,000 in the UK, but up to 20 times this level in West Africa. ✍️Prevalence and incidence of ocular symptoms after infection depend on socio-economic factors and the circulating parasite genotypes. 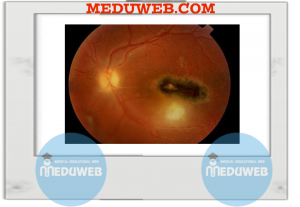 ✍️ocular toxoplasmosis is more common in South America, Central America, and the Caribbean and parts of tropical Africa, as compared to europe and Northern America, and is quite rare in China. 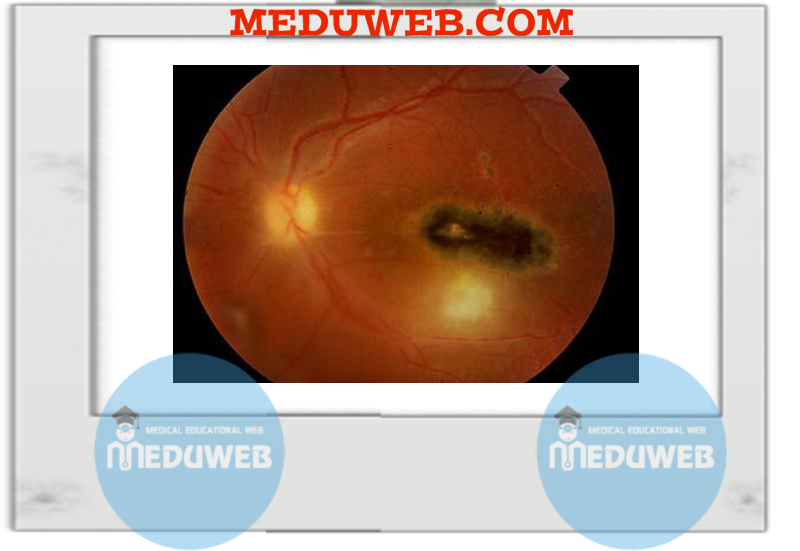 ✍️ocular disease in South America is more severe than in other continents due to the presence of extremely virulent genotypes of the parasite. ✍️drinking untreated water is considered the major source of Toxoplasma infection in developing countries vs eating raw or undercooked meat products in more developed countries. 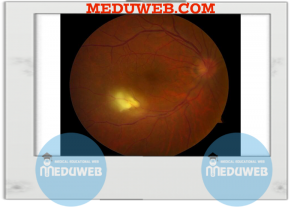 ✍️Acquired infection is now a more important source of ocular toxoplasmosis than congenital infection, and so prevention should be directed toward the whole population. ✍️livestock and humans are only intermediate hosts. ✍️oocysts are excreted in cat faeces which are ingested by humans or livestock in which they may become encysted (bradyzoite) or actively pro- liferate (tachyzoite). ☝️transplacentally(Vertical transmission ) increases from 15% in the first trimester to 60% in the third trimester but the severity is, however, much greater if acquired in early pregnancy. ☝️retinochoroiditis (more commonly bilateral and affecting the macula). ✍️Interpret positive serological tests with caution. ✍️IgM antibodies do suggest acquired infection, and negative serology in undiluted serum makes the diagnosis unlikely. ✍️PCR of intraocular samples may also be used. ☝️lesions involving disc, macula, or papillomacular bundle. ☝️lesions threatening a major vessel. ☝️Any lesion in an immunocompromised patient. ☝️Steroids must not be used without effective ective umbrella of anti-toxoplasmosis therapy and should not be given if immunosuppressed. ☝️For maternal infection acquired during pregnancy, use spiramycin (named-patient basis) to reduce transplacental spread. ☝️Atovaquone may theoretically reduce recurrences, as it is active against bradyzoites as well as tachyzoites. ☝️Azithromycin is used in some centres. ☝️In immunocompetent patients , the disease is self-limiting and hence does not require treatment unless sight-threatening. ☝️Recurrence is common and average number of recurrences is two, but a wide range is seen. ✍️No risk otherwise (even if recurrence of active disease during pregnancy).